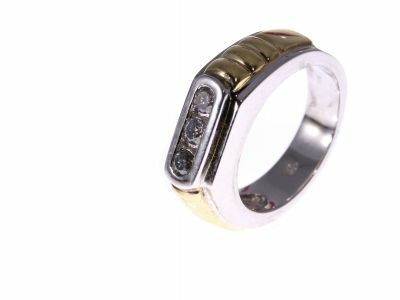 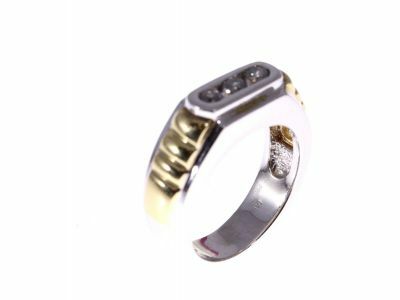 This is a really elegant ring that you will want to wear all the time. 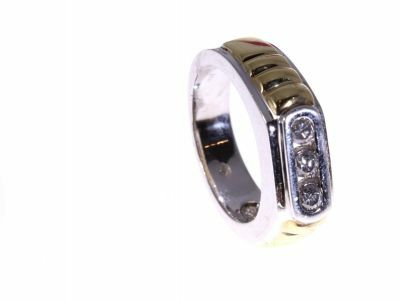 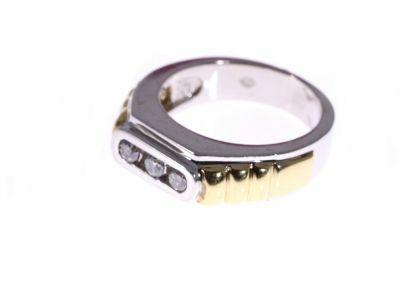 Lovely combination of yellow and white 14kt gold with 3 diamonds. 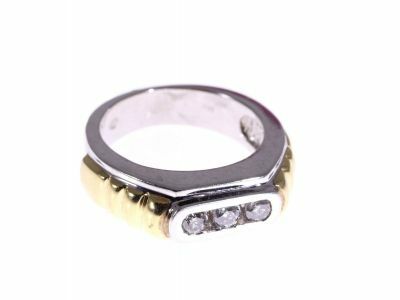 Every Man's dream ring.